As a top-producing sales associate with Coldwell Banker Previews International®, I have consistently ranked among the top 5% of Coldwell Banker associates across the globe, successfully earning the prestigious International President’s Circle and Diamond Society Awards since 2008. 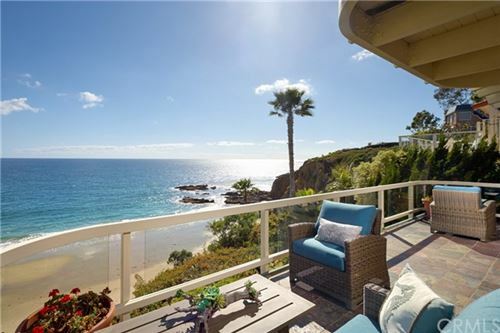 Specializing in the exclusive communities of Newport Beach, Newport Coast, Corona del Mar, and Laguna Beach, I bring my clients 22 years of vast real estate experience. Since I began my career in real estate, I have developed a loyal clientele, representing local & international buyers and sellers in the luxury market along the Southern California coast. I have a proven track record of success accomplished by providing a superb customer experience and invaluable market trend and community information. Additionally, I have worked with numerous property investors advising on everything from property values to community affairs. I hold an undergraduate degree in Communications and a Masters in Business Administration from UCI, and draw upon these skills to provide an easy and successful real estate transaction. I have unparalleled negotiation skills developed during my paralegal work with O’Melveny & Myers law firm in Newport Beach where I participated in case research and international politics in their corporate and real estate departments. Affiliating with Coldwell Banker Residential Brokerage, the #1 residential brokerage in the Southwest, means I can share its extensive benefits with my clients, including international property exposure and innovative marketing strategies. The Previews® Advantage provides me the ability to showcase your exceptional property on a regional and international level through a multitude of digital platforms, prominent publications, and exclusive advertising opportunities. International buyers trust the reputation of the Coldwell Banker brand and with the considerable percentage of international buyers looking to relocate to Southern California this is a clear advantage. As a resident of Newport Beach for more than 35 years and a property owner in Newport Coast, I bring intimate knowledge of area and its communities along the coast including everything from local market trends and school districts to type of community, its architectural details, floor plans, and amenities that each neighborhood offers a potential buyer. I am committed to proving the best real estate services by utilizing a strong work ethic and robust industry knowledge. If you are considering buying or selling your home, trust my expertise and ensure a seamless and profitable real estate transaction. Call me to discuss how my skills can benefit you in your next real estate transaction.